Supt William (Bill) Douglas Robinson of the Indian Police born 1907 joined the Indian Police in Dehli at the age of twenty in 1927. Bill was the son of Major General William Henry Banner Robinson (1863-1922), India Medical Service. Supt Bill Robinson was drafted in from the Indian Intelligence Bureau at Delhi along with Major Arthur Goring and a Sikh Supt as part of the intelligence network on the rumoured Sikh army mutiny and 5th columnists. They were empowered to act as they saw fit. 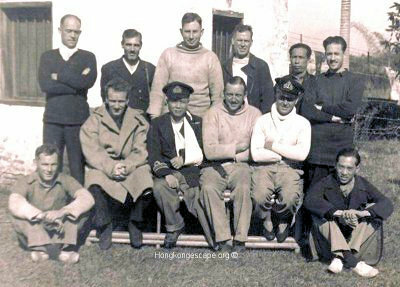 After reaching Shaoguan (Kukong) members of the Aberdeen Island escape party were flown to Chungking for debriefing. The arrival of Cmdr Hugh Montague RN (Rtrd), Police Supt Bill Robinson of the Indian Police Intelligence unit, Captain Peter Macmillan, Captain Reginald (Freddie) Guest, Sq-Ldr Max Oxford, all staff officers of HKBHQ, David MacDougall, and Edwin (Ted) Ross both of the Ministry of Information arrival in the early hours made the British national and regional press the same day 15th January 1942. 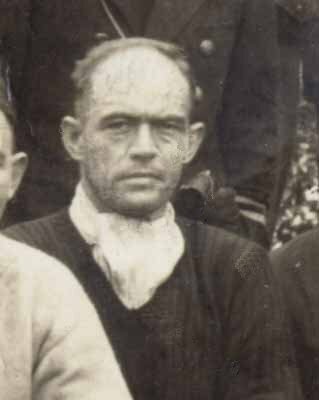 Bill left Chungking on 31st January along with Freddie Guest and Max Oxford, bound for Delhi via Calcutta. S.K. Yee: "I put the two others on a junk, asking the fishermen to take them to a hospital on the mainland (Hong Kong). 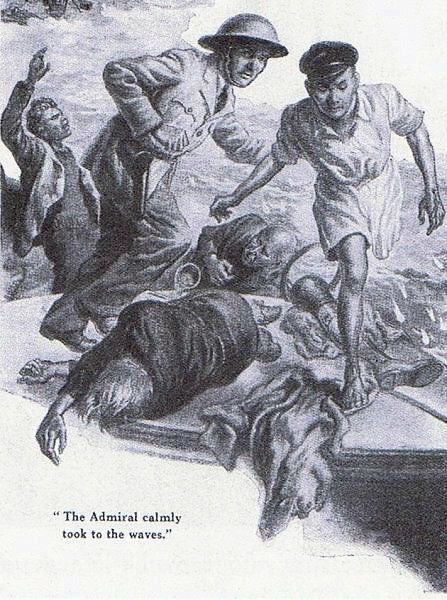 Of the sixteen who set out on board the launch of "HMS Cornflower" (II), two were killed, one taken prisoner, another made good his own escape while the remaining twelve made it to the MTB's. 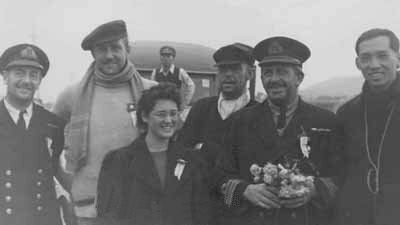 Left: Lt-Cmd John Yorath RN (Rtrd), Major Arthur Goring Probyns Horse, Commander Hugh M Montague RN [Senior Naval Officer Aberdeen, & the escape] with Mrs Muriel Jones of the "Methodist Mission" wearing a Chinese favour on her lapel, and Adm Chan Chak's ADC Lt-Cmdr Hsu Heng (Henry) ROC. Police Supt Bill Robinson of the Indian Police is behind with the white neck scarf. The New Zealand Presbyterian Church Methodist Mission at Shaoguan was run by Mrs Jean Martin & her Irish born husband known by his Chinese name Mooi with a staff of six missionaries and their wives. It was here that Admiral Chan Chak finally had the bullet removed from his wrist by Dr S H Moore at the "Ho Sai" hospital. The Admiral kept the bullet and had it mounted on a gold chain which he wore from his left lapel. Adm Chan Chak also had a blood transfusion here, with Muriel's husband Peredur Jones donating his blood, after his gastric ulcer flared up.